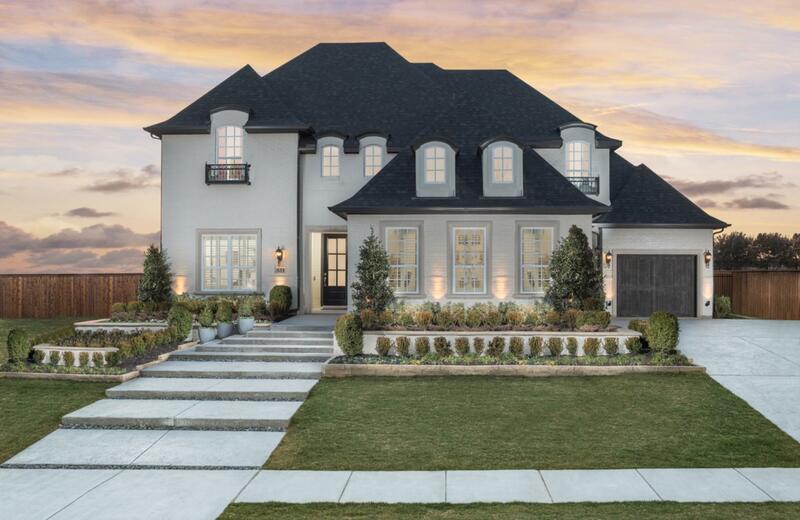 American Legend Homes invites you to build the home of your dreams in Parkside; the newest gated community in Prosper! Designed to create a sense of community and bring nature closer to your door step, Parkside features tree-lined streets, 8 acres of green space, two ponds with a gorgeous fountain and spacious central green belt with walking trails. Located just one mile north of Highway 380, this fast-growing community boasts a convenient location for commuters and is minutes away from world-class shopping, dining, entertainment and sporting venues in Frisco and surrounding areas. Parkside is served by highly-acclaimed Prosper ISD and students will attend Rucker Elementary, Reynolds Middle School and Prosper High School. Built for the way you live, American Legend Homes at Parkside offers several floorplans ranging from 2,925 to more than 4,800 square feet, with options for additional bedrooms, bathrooms, media rooms and more. Oversized and greenbelt home sites are also available in this boutique community. Homebuyers will then be able to personalize their home with wide array of high quality materials and finishes such as flooring, cabinetry, countertops and more at our Design Gallery.